A jiffy garment steamer might appear to be an extravagant investment for the average person, as they seem like they would not find much use. But if considering your needs and take a look at the steamers on the market, you will find that you can not only find one that fits into your budget, but will save you time and money. Nobody wants wrinkles in their clothing, but many find ironing too labor intensive and dangerous with many fabrics. This is where a garment steamer can be helpful. While a little more expensive than a conventional iron, its utility and convenience make it well worth the investment. A garment steamer takes the wrinkles out of cloth without making contact. This is not only good for working with delicate fabrics like silk, satin and polyester, but also with garments that are difficult to iron, like jackets, sweaters and screen-printed items. While you lose the crispness of an iron pressed garment, it will quickly remove wrinkles and can also be used to clean delicates, saving money on dry cleaning. When looking to purchase a Jiffy Garment Steamer, there are a couple of factors beyond the cost to consider. Some of the main factors include durability, capacity of the reservoir, ease of use, heating speed and safety. Other minor factors to think about before making your purchase would be aesthetics, level of need and where you will need to use it. 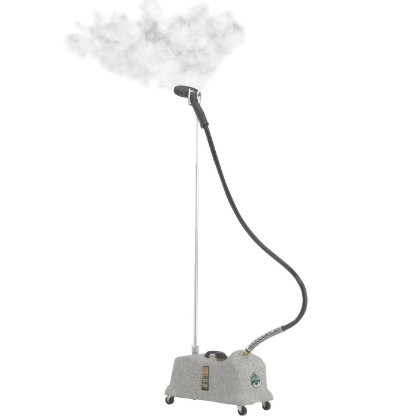 In this article we will focus on Jiffy Garment Steamers. Jiffy makes some of the best products on the market for both personal and professional use and they come highly recommended by professional dry cleaners and seamstresses. You will find they are generally slightly higher priced that many similar models from competitors, but that their durability and heating speed are unrivaled among these types of products. A personal unit that is professional quality, the Jiffy J-2 Garment Steamer is also easy to use and got glowing reviews from many of its users. While the J-2 looks like a mop bucket on wheels, it makes up for its looks by being incredibly durable and quick to use. Most impressive about the J-2 is that it can be used not only for steaming clothes, but has the capacity and power to handle steam cleaning carpets and rugs. If you are considering this feature, it is recommended that you invest in the J-2I model, which comes with several attachment heads to enable you to take full advantage of the potential versatility of this model. The power provided by its 1300 watt heating element enables the J-2 to heat in around 90 seconds to two minutes and provide steam for two hours on a single fill of its gallon tank. This will make quick work of most of your garment steaming needs and make it great for steam cleaning rugs, carpeting and drapery, which can add to your savings for this investment. Considering that many lower-end commercial steamers do not even offer a gallon tank, this is impressive and great for consistent or steady usage. The J-2 has a die cast aluminum body, giving it a durability that one would normally only see in industrial or professional units. This model is built to last but some users complained that the weight of this unit was a little much for their regular needs. Being on solid casters that allow it a full range of motion, even on carpet, offset this issue in most cases. Past its weight, the main complaints that some users had were that the hose heated up much more than expected and that it was more than what they needed in the home. The first issue can be addressed by wearing oven mitts or other similar protection for your hands, as is advised in general when steaming for long periods of time. The personal need issue can be one that is balanced by the functions being there when needed, even if you do not often need to clean carpets or utilize its other uses. 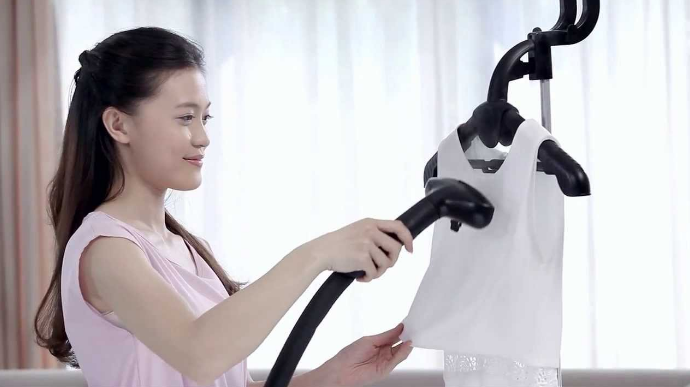 A slight step down from the J-2 in terms of both capacity and cost, the Jiffy J-2000 Garment Steamer packs a lot of the same punch of the J-2. The main differences between the J-2 and J-2000 come down to the J-2000 having a quart smaller water reservior and its focus on being exclusively for clothes, draperies and fabric. This package of features makes it not only more friendly to the budget, but just as ideal for both the home or professional setting. The quick heating capabilities of the J-2000 are really what make this a nearly universally beloved steamer. It can produce steam in only about 90 seconds after being filled with water and turned on. This is great for those on the go, especially compared to an iron. Speed and convenience also come into play with another of its features in that its wheeled base allows it to move well and position where you need it. This can be attributed to the same craftsmanship that gives the J-2000 its durability as many reviews mention that it holds up much better than many lesser-priced models on the market. If there were customer complaints, it was its looks and some issues with the heat from holding the steam head. As for looks, there are a few options available to change the color, but at the same time, any steamer you buy will spend the majority of its time in a closet or laundry room, hidden from sight. The issues with the steam head are slightly more concerning, but that appears to be more common to the metal head as opposed to the plastic head and only after extended use. Like mentioned, this unit is more expensive than most reviewed. But it is almost unfair to compare this steamer to other models made almost exclusively for home use as it would make for a great professional-grade steamer. As well, the speed of use and durability mean that this is a steamer will provide you years of fast and high-quality steaming. 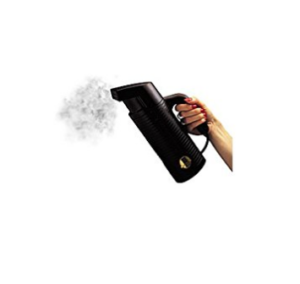 For those who need a product on the go, the Jiffy ESTEAM Personal Hand Held Steamer offers the speed and power associated with Jiffy steamers in a size that makes it easy to store at home, the office or in a suitcase. While it is ideal for travel, this can be great for those looking for a small steamer to be used just at home. 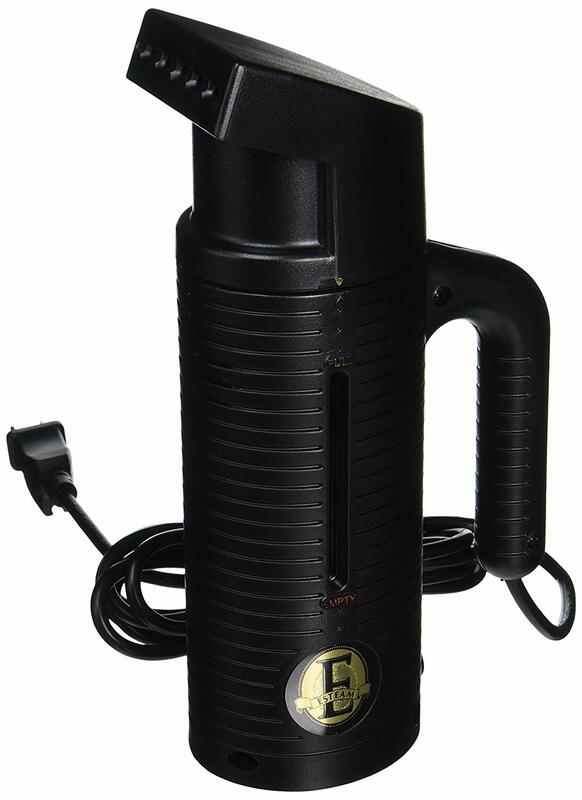 The ESTEAM is the most powerful hand-held steamer on the market, heating water in about two minutes while weighing only a few pounds when completely full. 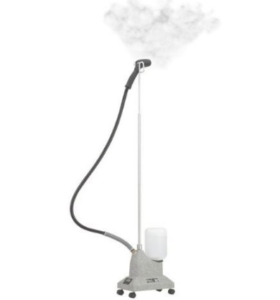 Unlike many other portable steamers on the market, the ESTEAM is housed in high-impact plastic, making it able to handle the beating it can take from baggage handlers in airports or being jostled like many lighter items can be in normal use. Another great feature that comes in part from its being made for travel is the ESTEAM handles hard water better than many other steamers. This is helpful as you might be at the mercy of the tap water from your hotel room or a bathroom to fill your steamer. There is a cleaner available to remove hard water buildup, but most users said it was not needed as often as many other travel steamers. The main drawback to the ESTEAM model has to do essentially with being made for travel. It has a small reservoir for water, about eight ounces, which only allows it to be used for several minutes before needing to be refilled. In spite of that, this steamer is great if you only need to do a couple of garments at a time and this smaller capacity is the tradeoff to be expected for something made for the traveler. Another reported issue is that the ESTEAM lacks an on-off switch. This means that if you need to set it down to answer the phone or grab another garment, you will lose some precious steam. Even then since it heats up quickly, this is not as much of an issue as you would think. If the J-2 can be considered a bit much for many personal users, the Jiffy J-4000 Garment Steamer is clearly overkill. Even more powerful that the J-2 and J-2000, the J-4000 is designed for commercial use and offers steam at the speeds associated with the Jiffy brand with power that surpasses most home models. It is rare that many home users would need this much power from their unit, but the J-4000 straddles the line between home and commercial use by being smaller and lighter than most commercial units, but still noticeably heavier than any other home units on the market. One of the best features of this model is its pre-heat mode, which can be used to save energy if being used often on a daily basis, like for a home seamstress or a tailor shop. This allows it to provide steam quickly without having to be unplugged. As well for slightly more, the J-4000I model offers several adapters and a two foot longer hose which makes that much better to use as a cleaner as well as a steamer. Many users, including those who upgraded from the J-2000 or J-2, were impressed at the power behind the steam produced by the J-4000. The steam appears almost like a water jet compared to the less powerful models, allowing for quicker steaming and much better stain removal. This makes it an even better model for those looking for the versatility offered by the J-2. If there is a drawback to this model it has to do with its weight. Being made more for commercial use, it is not really made to move in the tight spaces of a home. This is a tradeoff for the power offered by the unit and with the longer hose available on the J-4000I, something that can be easily worked around. Another widely reported issue with the weight is the steamer head is heavier, making it difficult to use for longer periods of time. This is common though with many higher end steamers and is an issue more for working with drapes or other hanging items. The main consideration with this model is that it is made to provide steam over the course of a day rather than for a garment or two. While it takes a long time to heat up compared to other steamers, it holds its heat better and once heated is made to provide steam over the course of a day’s work. If you are looking for a unit that can serve well for cleaning tasks around the house though, this unit is a great choice, especially with the attachment kit offered by the J-4000I or separately by Jiffy. 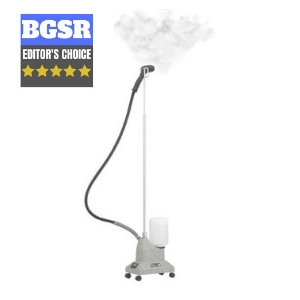 While it is hard to go wrong with any Jiffy garment steamer, our recommendation would be the J-2 (View on Amazon.com) as it provides the best balance of value, versatility and power of any of the Jiffy models. 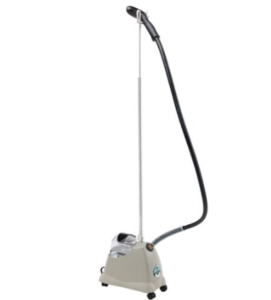 Because the J-2I offers a model that can easily double as a steam cleaner around the home with its attachments at a slightly lower cost than the J-4000 or 4000I, this model wins out in what is a close battle. If you just need a unit and will not likely use the steam cleaning function, the J-2000 would suffice for your needs. But the value provided at only a slight uptick in price by the versatility of the J-2 makes it the better choice, if not best choice. Even with all of these considerations, those looking for this type of product would not go wrong with any of the four and the biggest factor to consider is more one of what specific needs you have versus which one would be considered the outright best.